After migrating to Canada as a young teenager, Miranda obtained a bachelor’s and then her master’s degree in Chemical Engineering, both from the University of Toronto, Canada. She later returned to work in HK and later switched careers to accountancy and became a member of the Certified Public Accountants of Australia. Miranda joined KLC in 2016. Prior to joining the firm, Miranda began her business career as an engineer in Canada, where she undertook professional work in plant management; product quality control; and process optimization, specifically in the cement manufacturing. 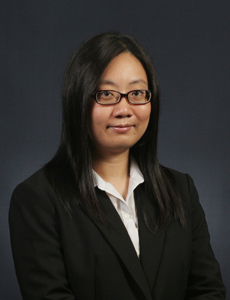 However, Miranda decided a change of business career to accounting and subsequently, after returning to Hong Kong, she first worked as a research engineer in the electronic design industry. Miranda then decided to pursue a career in accountancy and gained over five years of practical experience in auditing, financial and also management consulting, with extensive work coverage and travelling in China, and including southeast Asia. Through her work experience, Miranda has developed a specific in-depth expertise on chemical related industries in Asia. She speaks native Cantonese and is fluent in both English and Putonghua.